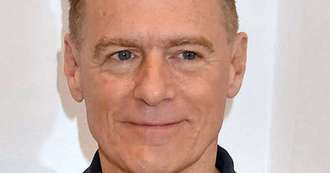 Bryan Adams has recruited Ed Sheeran and Jennifer Lopez for his first album in four years. Sheeran co-wrote the title track on the rocker's new album Shine a Light, and agreed to join him in the studio as he recorded the song after meeting Bryan backstage at a show in Ireland. ''I met Ed in Dublin this year at one of his shows and we kept in touch," the Summer of '69 singer explains. "One day I sent him a chorus I had for a song idea I had called Shine A Light and asked him if he was interested in collaborating on it. I got a couple of verses back a few days later, and man you should hear him sing it!" And Adams persuaded J.Lo to join him in the studio for the ballad That's How Strong Our Love Is. Shine a Light will be released on 1 March (19). Backstreet Boys Reveal Which Song They Wish They'd Never Recorded. Eric Haydock has died at the age of 75. Miley Cyrus Says She Wants to Collaborate With Britney Spears Again. Top of the Pops has revealed its Christmas and New Year line-ups, as well as this year's host and co-host, Fearne Cotton and BBC Radio 1's Clara Amfo. Biffy Clyro are clearly not embarrassed by jamming withI'm a Celebrity's Nick Knowles, as it apparently didn't ever happen. Emma Bunton has joked Katy Perry would be the perfect replacement for Victoria Beckham on the upcoming Spice Girls tour. Leigh-Anne Pinnock felt invisible in the early days of Little Mix because she couldn't find her place within the band. Exes Liam Payne and Cheryl are both on the line-up of performers for the 2018 Capital FM Jingle Bell Ball. The Spice Girls are expected to announce they are reuniting for a UK tour next year - but without Posh Spice, Victoria Beckham.